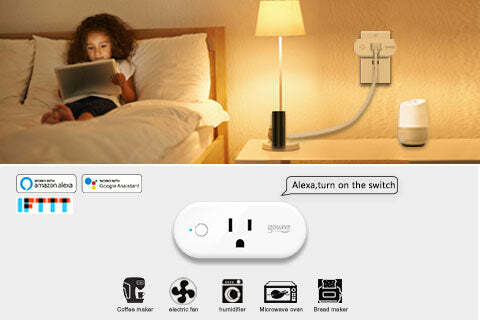 Make your home a smart home at a fraction of the cost with our Gosund 16Amp smart plug. This rectangular 2000 watts smart plug was built to support high powered electrical devices giving you the flexibility to use it to a wider range of electrical equipment. If you are contemplating on controlling your water heater and window air conditioning system remotely, the 16A smart plug is exactly what you need. Similar to the smart products that we have on our entire product line, the smart plug high wattage device is easy to install and use. 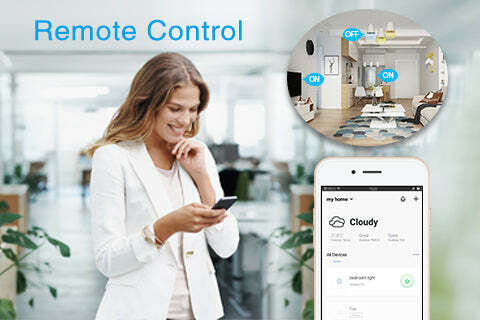 It is home assistant compatible and features a scheduler and timer, ought to give you the extraordinary comforts of home automation. Home assistants make our life a whole lot easier in our households and that holds true for Alexa and Google Home. One of the best things about the Gosund 16amp smart plug is that it seamlessly works with Alexa, Google Home and even IFTT. With this extraordinary feature you can set up voice commands to get your home appliances to work at the sound of your voice. You don’t need to be a technical genius to get everything set up and automate your plugged-in appliances and device. All you need is just your 2.4 GHz Wi-Fi, the Gosund smart plug high wattage device, your mobile phone and our companion app – Smart Life. If you are looking for a smart plug that offers you the flexibility to use on a multitude of devices then the Gosund 16amp smart plug is all you need. It has a 16A current rating and supports appliances that uses to 2000W of electricity. With that said, you will be able to use it to a number of high-powered electrical devices - something that regular smart plugs can’t provide. With the 2000 watts smart plug you will be able to run the oxygen pump of your fish tank or remotely turn your water heater on while you are on your way home. 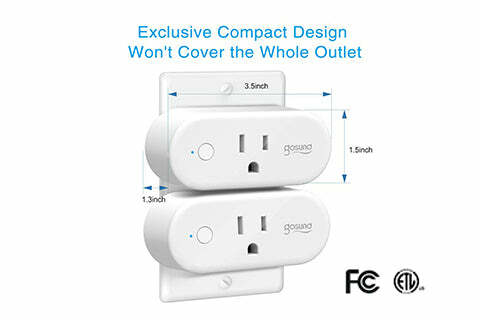 Another thing that you are sure to love with the Gosund 16A Smart plug is its space saving design. It is so compact, you will be able to use two of these plugs in 2 adjacent outlets without getting in each other’s way. They fit perfectly in one stand outlet and will not overlap. Unlike other smart plugs that appears rather bulky, our 2000 watts smart plug is sleek and thin. It is 3.5 inch-wide, 1.5 inch-tall and 1.3 inch thick. It will not take so much space you can use them in very tight spaces. So, if you are looking for a smart plug that’s reliable, convenient and cost efficient the Gosund 16Amp smart plug is the one to have. The Gosund 16Amp smart plug is a great way to take control of your home appliances on the go with the ease of your smart phone. Such a feature lets you instantly transform your standard electrical outlet into a more controllable one and allows you to switch your devices on and off from anywhere in the world. This is made possible by the companion App – Smart Life which you can easily download to your smart phones via Apple App Store or Google Play. Once downloaded, you can plug any appliance of your choice to the Gosund 2000 watts smart plug and switch them on and off automatically from your smart phones. One of the most valuable perks of having smart devices at home is that you get to automate what you would like your appliances to do and when you need them. 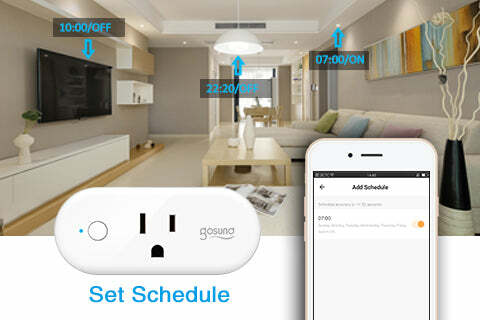 With the Gosund 16a smart plug you get the added benefit of scheduling when your appliances should be active or not. You even get the option to create group commands for your appliances and gain control of everything with just one command. The schedule and timer features of the Gosund smart plug high amp electrical hardware offers you not only convenience but also provides you with a perfect opportunity to control your energy consumption. Discover its benefits by ordering one today!